Which 6 College Football Pundits Should You Be Listening To? If you’ve ever watched the NCAA’s version of American football, you are aware of the pundit. The talking head. The fixture of knowledge who’s got you, the viewer, covered because he — and it’s almost always a guy — has spent his entire life following college football and is ready to extol the virtues of his hard-earned knowledge to you, who are either an alumni (and, as such, blinded by loyalty) or a vacationeer (and, as such, blinded to nuance). Of all the sports that take up social bandwidth, though, perhaps none is more involved than college football, which spans thousands of teams and hundreds of players. Every single one has a hot sports take and a carefully reasoned rationale behind what they’re thinking, but most importantly for us, they also have a paper trail, lovingly compiled by Pundittracker, who keep track of college football commentators as well as every other kind of pundit, political, professional, and so forth. We’ve rounded up the six most consistently correct CFB Pundits in their database, and given them to you, so you can keep track of who’s worth paying attention to and who isn’t. 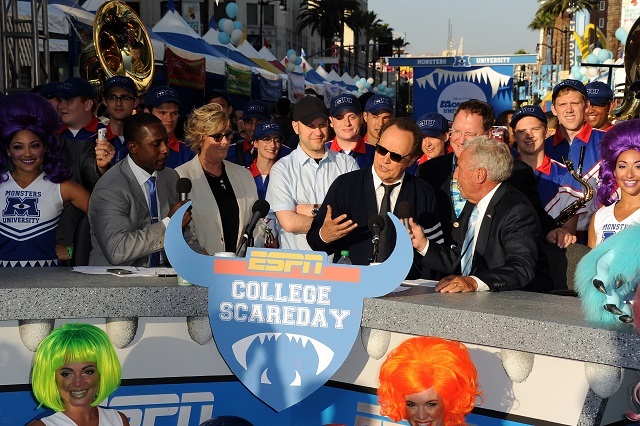 Lee Corso is probably the biggest face in CFB punditry. 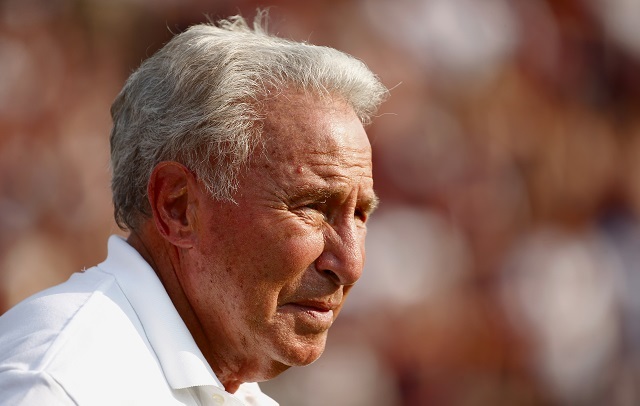 A former coach and face of ESPN’s College Game Day — literally, he’s been there since the program’s inception — Corso’s been tracked to have hit 113 out of 177 predictions, which would give him a hit rate of 64 percent. That said, his yield is the lowest of any of these pundits. To explain: If you had put down a one dollar ($1) bet on each of Corso’s predictions, you would receive an average payout of $1.01. He makes the safe call, in essence. 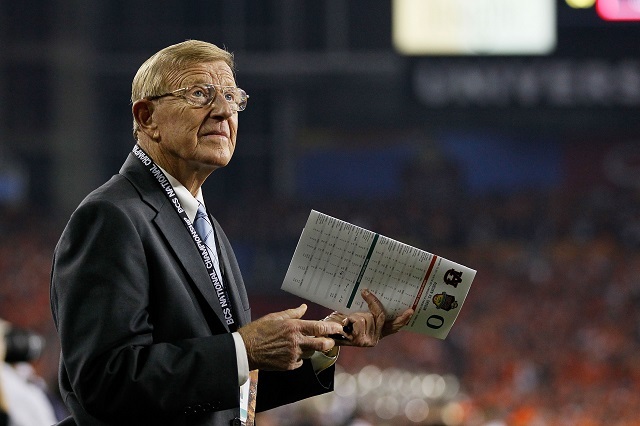 OK, so, Lou Holtz hits on fewer predictions than Corso, but he’s more likely to take a bolder stand — his 55 percent hit rate comes with an estimated yield of $1.03, which might seem low, but he’s more reliable to go out on a limb than some of his contemporaries. On the other hand, he can go with the flow, as evidenced by his belief that Auburn would beat Florida State. Seen here using his soothing voice to deliver calming statements about Florida and a then-relevant Tim Tebow (who, in the interest of full disclosure, is also a college football analyst now), Feldman’s got a long track record of getting things right half the time, with an overall yield ($1.04) that shows he’s slightly gutsier than some of his peers. 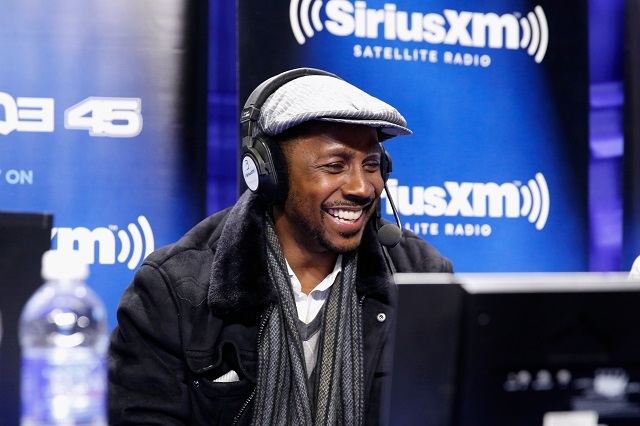 The Heisman Trophy winner and NFL wideout, Howard learned more than how to be a successful athlete at the University of Michigan, at least if his stellar prediction record is concerned. 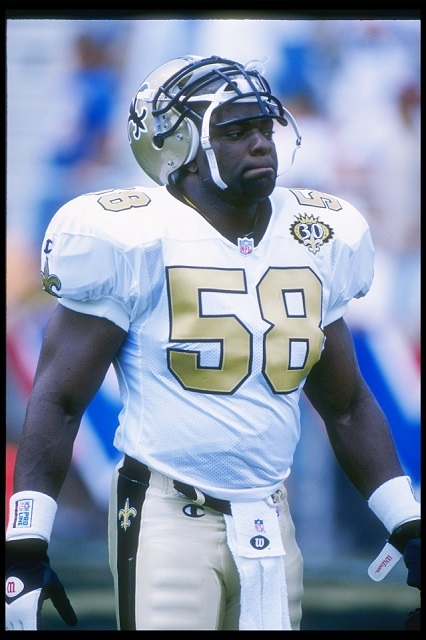 Now working for ESPN, the former player spent ten years in professional football, playing for five different teams. He retired in 2002. While he might not have the track record of some of his contemporaries, the overall yield on Brian Jones’s picks (of $1.11) combined with his 74 percent hit rate means that it pays to listen to his advice. It is literally impossible to write a paragraph about a man named Brian Jones, while using the words ‘hit’ and ‘record,’ without mentioning the Rolling Stones, so there you go. A 65 percent hit rate on a hypothetical yield of $1.12, plus no classic rock references, means that you could do far worse than to discount Mark May’s predictions and guesswork. Remember, this is the guy who called A&M losing to Auburn last year — which seems obvious in retrospect, but was far from it at the time. He also called Florida State winning the final BCS game. For more information about punditry in all its forms, check out Pundittracker.com. 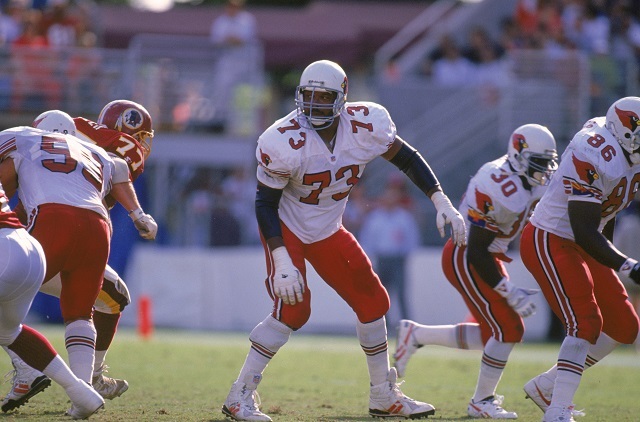 Enjoy your Saturday and listen to Mark May. Is This the Price of Apple’s iWatch?